With a unified team collaborating from the project start, project goals could be better understood and achieved. The firms were able to forge a strong relationship starting with programming, which allowed each to holistically understand the goals of design and construction. It also reduced RFI’s and project schedule. 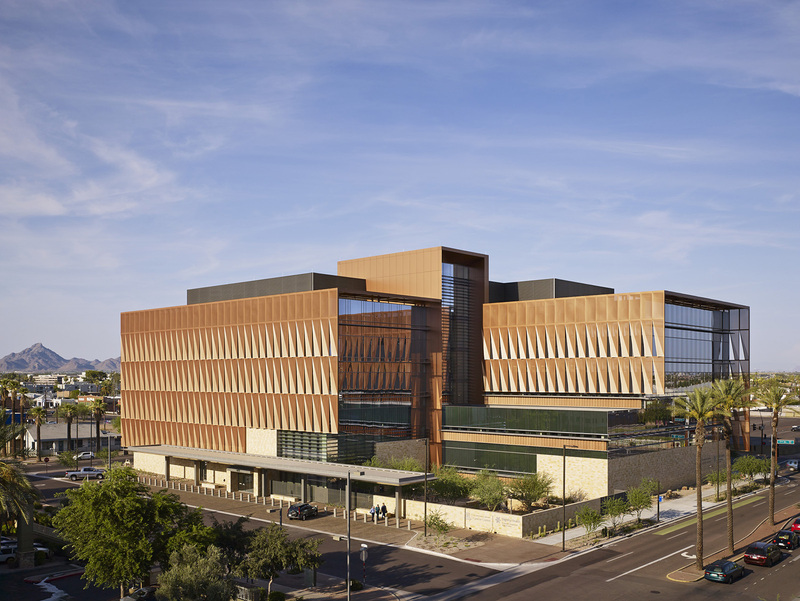 The new, 220,000-square-foot University of Arizona Cancer Center in Phoenix, Arizona was designed to deliver the highest standard of care within an evidence-based, multidisciplinary model, using the most modern technologies. The building program includes spaces for radiation oncology, diagnostic imaging, endoscopy and interventional radiology, exam and procedure rooms, a support and wellness center, infusion, a clinical pharmacy, and a healing garden.